Fball F46 Adhesive is part of the WJD Flooring range of adhesives. An all-purpose adhesive the Styccobond F46 glue is perfect for permanent bonding to vinyl, PVC and carpets. 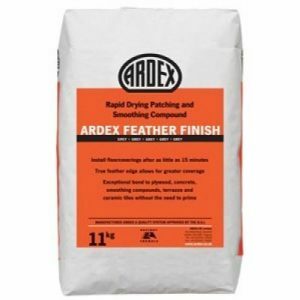 We have the biggest online collection of floor adhesives. 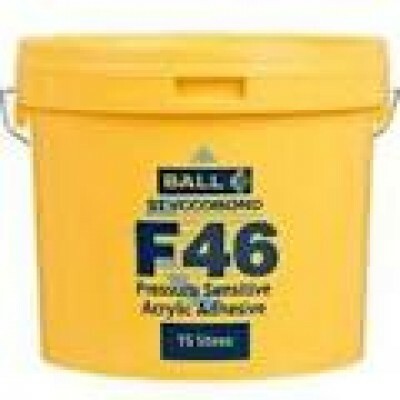 Fball F46 Adhesive 15L can cover a surface area of around 60m2. A whole host of different clients reap the benefit of our Fball F46 Adhesive selection which has been chosen to meet the needs and requirements of all our customers. Styccobond F46 glue is an acrylic polymer emulsion that is free of solvents and dries into a permanent adhesive film. It is used to lessen the occurrence of trowel grooves becoming visible through thin vinyl flooring and is designed to give durable initial tack and a high bond strength. 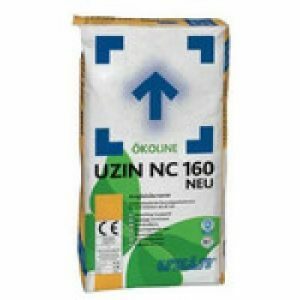 Fball F46 Adhesive is protected against biodegradation and is also appropriate for use over normal underfloor heating installations. It can be used to secure a wide variety of PVC sheet and tile floorcovering materials. The Fball F46 Pressure Sensitive Adhesive has been tested to the standards of the International Maritime Organisation and has therefore approved for use in marine floor installations by DNV – Det Norske Veritas. Styccobond F46 can be used for stopgap smoothing underlayments along with architecturally sound surfaces like smooth, dry subfloors of concrete as well as sand and cement screed, plywood, flooring grade chipboard and hardboard. One of our exceptional flooring accessories, Fball F46 Adhesive can be applied directly to waterproof surface membranes and other non-absorbent subfloors where the surface finish is smooth enough to permit the installation of resilient floorcoverings. 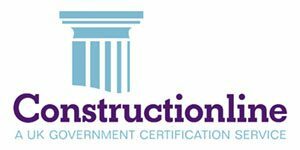 • Approved for marine use STANDARDS All aspects of the installation of floorcoverings should be in accordance with the requirements of the relevant British Standard Code of Practice i.e. 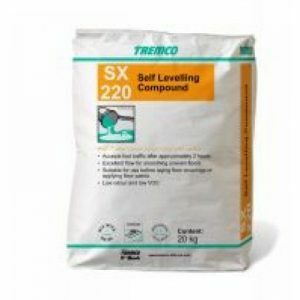 BS 8203 (Installation of resilient floorcoverings) and supplementary specifications. Please take note that coverage rates are dependent on the absorbency and general condition of the subfloor you are applying the F46 to. • Consistency Viscous Liquid Coverage Rate (Approx.) 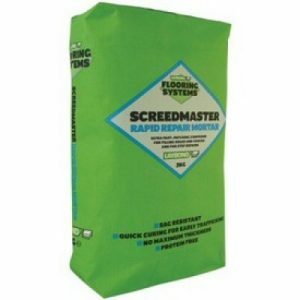 3m2 per litre with a 1.5mm x 3mm or A2 4m2 per litre with a STYCCOBOND FINE NOTCH (A1) 5m2 per litre with 1.5mm x 5mm trowel. • Drying Time is approximately 40 minutes depending on the temperature, humidity and absorbency of the subfloor. To learn more about the Fball F46 Adhesive you can contact us on 01744 885514 or by email at info@wjdflooring.co.uk. Our knowledgeable, experienced team will be delighted to answer any queries you have regarding our full collection of flooring solutions.